Located a short walk from Charlottesville's Downtown Mall, in the heart of Belmont. 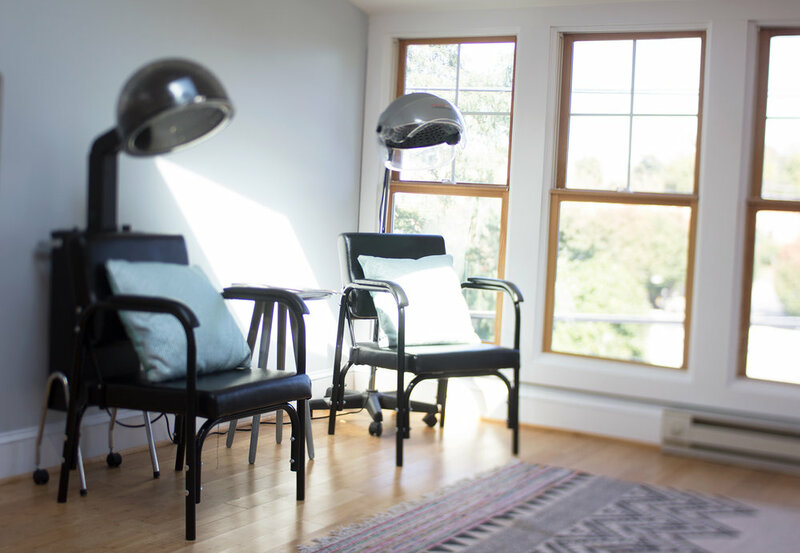 Hazel Beauty Bar is a salon co-op located in a beautiful, light-filled loft. After working in various salons, Zoe and Leslie decided to create their own space where they could offer a peaceful, relaxing experience. They offer a full range of hair services from creative, customized haircuts to shimmering highlights. Leslie is available to collaborate with you on a style for your wedding or other special event. Zoe specializes in organic, non toxic color. You can book with Zoe or Leslie on Schedulicity, which is easy and convenient to use. Free parking is available right outside of the shop. Please note that the salon is located in an upstairs loft and is accessible by stairs. Zoe Encarnation is a master hairstylist and colorist using natural and cruelty free products and specializing in custom color and cuts. Please check in at Schedulicity to book a haircut, color, treatment, styling or Balayage with Zoe. Leslie is a longtime Charlottesville resident offering fantastic haircuts for adults and children, highlights, color, special event/wedding services, and thermal smoothing. Please check in at Schedulicity to book with Leslie. This gallery represents a small sample of Leslie's special occasion hair styling. To see more photos, please view her complete gallery.